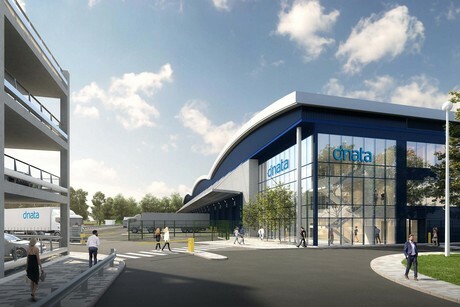 Virgin Atlantic Cargo and Delta Cargo are to move into the new purpose-built dnata City East, London Heathrow’s most state-of-the-art cargo facility. The move supports the airlines’ growing cargo businesses, enhances their trans-Atlantic partnership for customers, and future-proofs the joint venture’s position in the U.K. market by doubling the size of their cargo footprint at the airport. Virgin and Delta’s cargo operations have been aligned under one roof in the U.K. since June 2016 and share cargo facilities at major U.S. gateways, notably Atlanta, Boston, Miami, New York, Orlando and Washington-Dulles with the objective to create an enhanced customer proposition on both sides of the Atlantic. The move to the new facility – scheduled for the second half of 2019 - will ultimately increase the size of Virgin and Delta’s cargo operation at Heathrow to 335,000 square feet, and see customers benefit from greater automation and faster truck and cargo handling times. The purpose-built facility will deliver the highest levels of service, security and automation. Inside the warehouse, investments in technology will enable staff using handheld devices to efficiently manage the flow of cargo, while the double-train ETV system will increase storage to 245 positions for pallets and containers. Customer trucks arriving at the facility will benefit from a new door management system, which enables drivers to complete paperwork at the gatehouse on arrival without leaving their vehicles and to then be immediately assigned to one of the facility’s 18 cargo doors. The new location will also provide further benefits for customers choosing Virgin Atlantic Cargo and Delta Cargo services to move temperature-controlled healthcare and life science products as well as offering a dedicated perishables zone and an enlarged AVI centre for live animals.